Redmi Y2 was announced earlier today by Xiaomi MD Manu Kumar Jain in an event in New Delhi. Redmi Y2 is a selfie-centric phone which has a 16MP AI-powered front camera with the aperture of f/2.0 and has selfie Led Light. The Redmi Y2 is also having Auto HDR, AI portrait selfie, and a beauty mode works on 10 aspects while editing the photos. The rear camera setup consists of the primary 12-megapixel sensor and secondary 5-megapixel sensor. AI-based Face Unlock and fingerprint sensor can be used to unlock the phone, the fingerprint sensor can also be used to take selfies. The phone will be having Snapdragon 625 processor, which the company says delivers 37 percent better performance than the Redmi Y1. It will be manufactured in India, feature a dedicated microSD card as well as two SIM card slots, and will ship with a case. MIUI 10 – the latest version of Xiaomi’s custom version of Android – has been confirmed for the Redmi Y2 smartphone, based on Android Oreo. The new MIUI 10 software focuses on speed, design, gestures, and sound. The phone is backed by a 3080mAh battery. The phone is very good with the price tag of 10k but I won’t recommend 12,999 because you can get a better phone for that price tag. The 3gb Ram variant is really good but for 4gb ram variant it’s overpriced I think. There are many good phones like Realme 1 which offer 6gb ram and 128gb storage option for 14k approx and is having an Helio P60 AI processor with 8-cores CPU and 2-cores AI CPU, which is a good processor. Redmi Y2 is a camera-centric phone and Redmi has nailed it, it is having a very good front camera of 16MP and rear dual camera setup. Yes, the processor 625 is old now but for 10k it is not bad and after all, the phone is giving an amazing camera too. 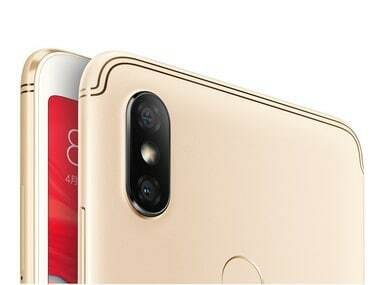 In terms of its competitors, Xiaomi has provided a good SoC whereas Honor 7C is giving Snapdragon 425 and Realme 1 is giving Helio P60 which is a good processor and in some term even better than Snapdragon 625. But it might be hard to get hands on Redmi Y2 as it will be available in flash sales whereas its competitor’s phones are easily available. Its first flash sale will be on 12th June at 12 pm. Read also How to create a portable hacking device. How to use WhatsApp without number verification? How to do Live Streaming on YouTube.